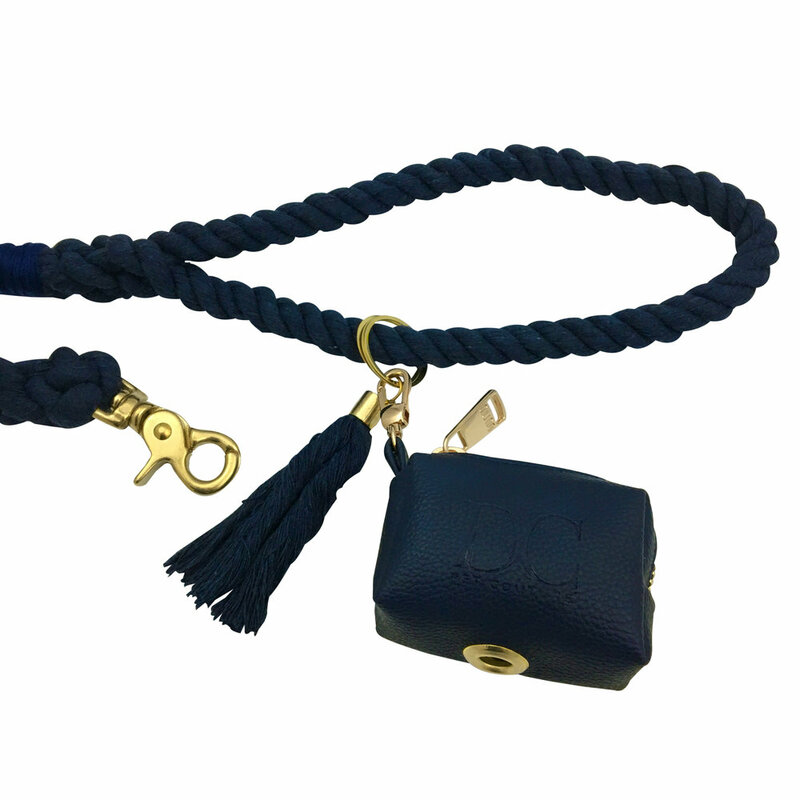 Presented in a choice of Rose Quartz Pink or Sargasso Sea Blue, our traditional rope collars and leads are thoughtfully designed. With polished gold accents, textured pleather overlays, and hand-dyed cotton rope, these beautiful accessories makes walks in the park even more special. 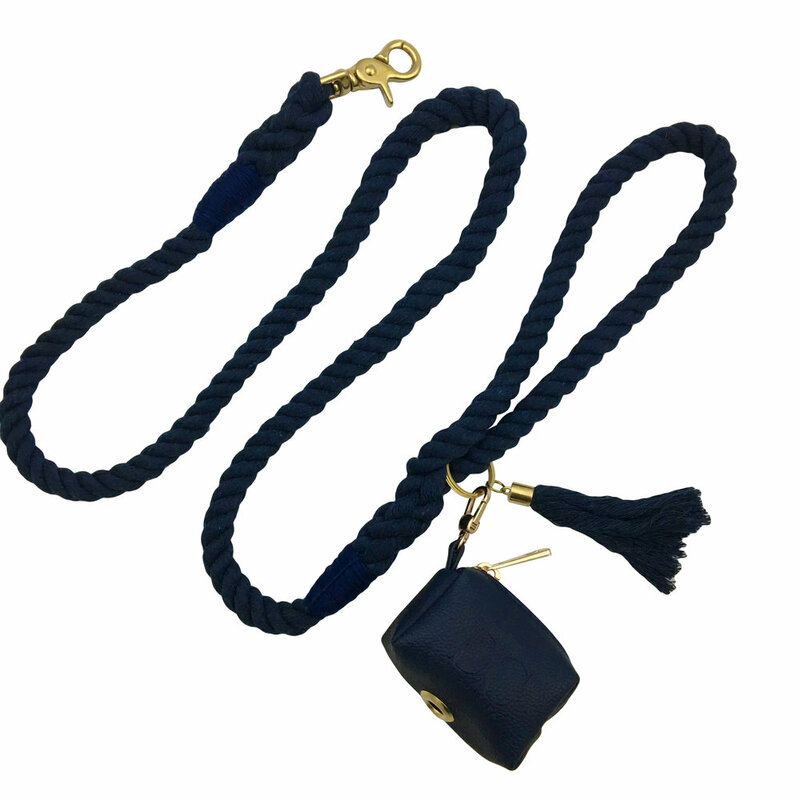 All products are 100% pure cotton rope, hand treated using non-toxic, pet safe dyes.